As a homeowner, you are likely aware of all of the quirks your property possesses. This intimate knowledge of your home can be very useful through the years, but some issues can easily become normal and ignored until a major problem occurs. The last thing you want is to come home to a basement full of water! If your home has a minor problem such as a leaky pipe or slow drain, it may only seem like an inconvenience until something breaks. To prevent this, Action Jackson Plumbing is dedicated to comprehensive plumbing services in Edmonds, Seattle, and beyond. Our team of experienced and licensed plumbing contractors are here to deliver fast and cost-effective services to get your home back up to speed pronto. 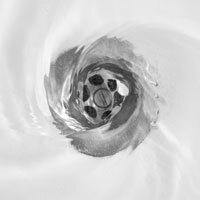 A wide range if minor inconveniences can be a warning sign that it’s time to call a local plumbing company. Today, we’ll highlight more of these signs to keep you in the loop of regarding which problems necessitate professional plumbing repairs. Water heaters are meant to crank out enough hot water for the entire family, giving you an ample supply when it’s time to hit the shower. If your morning routine more resembles gladiatorial combat when it comes to who gets the hot water first, it is time to reach out to qualified residential plumbers for help. Water heaters are relatively inexpensive in the grand scheme of your home, and a replacement may be your best option. Our plumbers will work with you to find the most cost-effective and long-lasting solutions to restore your hot water back to its former glory. Water is often the biggest detriment to your home’s safety and structural stability, and if your basement is always damp, you may need professional plumbing services to fix the problem. Many people move in and think that their basement is just “naturally damp,” but in reality, they are likely dealing with flooding issues or leaks in the pipes. Dark, damp environments are the perfect place for harmful agents such mold to thrive, creating a host of health concerns for both your home and its inhabitants. Mold remediation can be an intense and costly process, risking your immune health in addition to structural concerns. Is your toilet running? Well, if it is, you should probably reach out to a local plumber for help if you can’t find a solution on your own. Numerous homeowners accept the fact that their toilet runs, seeps, leaks, or any other verb that denotes the hissing sound of moving water. Beyond being a regular inconvenience, running toilets can also quickly run up your water bill. In fact, toilets can fill at a rate of five gallons per minute in some cases, leaving a lot of space for your porcelain fixture to begin wasting money. One statistic showed that the average leaky toilet loses roughly 200 gallons of water in a single day. Over the course of a month, you’ve wasted over 6,000 gallons of clean water! Not only does this waste precious resources, it can also raise your utility bill by nearly 100 dollars. Be sure to reach out to our team for expert plumbing repairs to keep your toilet costs under control! Based on where you live, a number of factors can contribute to weaken your water pressure. Homes outfitted with special equipment can make the most of low water pressure problems to minimize the inconvenience for inhabitants. If you have noticed recently that your water pressure is beginning to weaken, it would be advantageous to seek out a professional plumber for assistance. Weakened water delivery can be a sign of a potential blockage somewhere in the line. If the blockage were to get worse, the pipe could break, resulting in flooding and damages within the home. Even if your water line does hold together, the imbalance in pressure can cause the pipes to shake and move, causing further damage to the home. 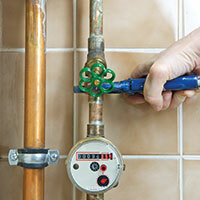 Minor problems in your business or home’s plumbing can result in very dangerous and costly outcomes if left alone. 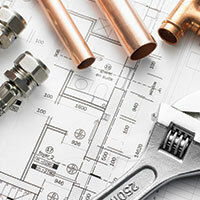 We are here to serve as your trusted experts in plumbing repairs for Edmonds, Seattle, and the surrounding areas. Action Jackson Plumbing is dedicated to comprehensive care and peace of mind for your Washington home. 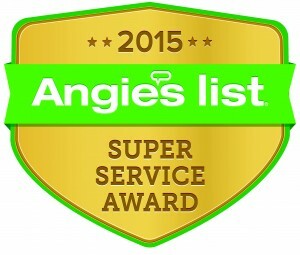 Our team is honest, reliable, and here to meet your needs in an expedient fashion. If you are dealing with any quirks in your home, be sure to contact us for assistance!